Welcome to the official website of the Biochemistry Department! Biochemistry department was created in October, 1933.
with majoring in biochemistry and Masters of Biochemistry. 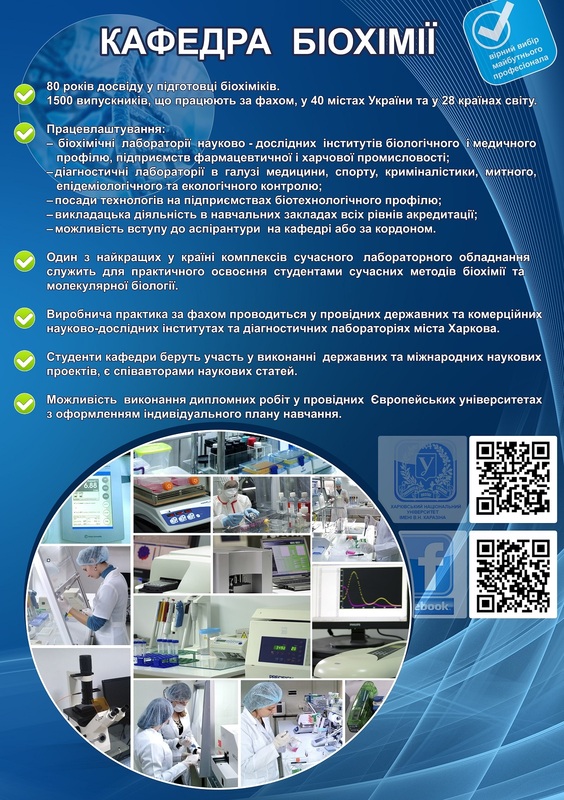 At the School of Biology there is post-graduate course by speciality 03.00.04 – “Biochemistry”. Today the staff of the department consists of: 4 Doctors of Sciences (Biology), 9 PhDs (Biology).